Following the Flydubai scandal, pilots with Emirates airline, the largest in the Middle East, told RT that the company is allegedly cheating on pilot schedules by illegally prolonging work hours and intimidating them from reporting feeling sick or tired. All of the pilots from the Dubai-based carrier that reached out to RT by phone or email did so on condition of anonymity. Some said they literally fear for their lives, as people can “disappear” in the UAE. Saving money at the expense of pilots… and passenger safety? While Emirates airline ads sport a modern aircraft park and luxurious service, there is allegedly an underlying employment crisis that could lead to disastrous consequences. One former Emirates pilot told RT that the number one issue to investigate is the airline’s problem with fatigue, as seven pilots at Emirates are forced to do the same amount of work as 10 or 11 pilots at any European airline. “Obviously, these pilots have to work a lot more and get a lot less time for sleep and for recovery,” he said, pointing to the dangerous consequences of such a routine. Meanwhile, another pilot still working at Emirates said that the number of pilots at the airline has been dwindling. “They are not able to employ enough pilots to make up for the losses… So what is happening is that pilots are working harder, harder and harder. It is becoming worse,” he described. A third pilot, who said that he had experienced intimidation for filing a report over a potentially dangerous situation that needed to be fixed, as well as for taking a sick leave because of the emotional pressure he was subject to at the airline, elaborated on what he sees as an employment crisis at the company that is impacting the remaining pilots. “There is a big problem because a lot of experienced [pilots] are leaving now, because they do not want to support this fear system. That’s why people are resigning. That means less people to fly the airplanes, [and with] no newcomers joining. That means more workload on the remaining pilots. Their flight hours will go up dramatically, and their fatigue and sickness will go up dramatically as well,” he said. Considering the tight rosters and time belts, this amounts to quite a bit of extra stress for the pilots every month. “If you look at the duties the pilots go through … then an extra hour is really a lot and it makes flights illegal, as the overall workload is a lot more than it should be,” the former pilot said. Apart from the electronic check-in, the pilots need to take care of their luggage, go through passport control, read the pre-flight briefing papers, which “can easily be a hundred pages of documentation,” and then discuss this material with the second pilot. Another pilot, who is still at Emirates, also confirmed that a lot of fatigue comes from the airline’s manipulation of schedules. Crews are complaining about overworking “all the time,” but because the company “twists” the rules in its favor, it presents the situation as perfectly legal. 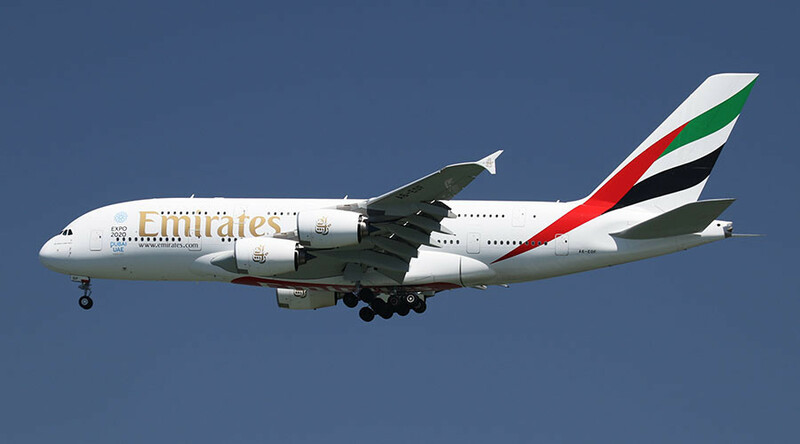 One of the alleged issues accompanying over-exhaustion is that reporting it is looked down upon and largely avoided, a former Emirates pilot revealed, claiming that the company often uses “intimidation” techniques to prevent this. “[Pilots] don’t get enough time to sleep and they [have no one to appeal to]. The company will not listen to them – they will punish them if they get sick. And the aviation authority will not accept any calls from pilots,” the pilot claimed. Moreover, as the majority of the pilots try to hide their exhaustion by calling in sick, they are limited to only two sick days per month. Getting more than that would have to be certified by a doctor, and employees who do that are allegedly being pressured by the company. A pilot still working for Emirates described several tactics used by the airline to threaten employees into keeping mum about feeling tired. Emirates reportedly uses the threat of an internal investigation, which involves endless additional examinations for depression and other illnesses not related to fatigue, to keep their pilots from reporting their exhaustion. The pilot noted that calling in sick is easier because it will not show up on a pilot’s record with the UAE General Civil Aviation Authority (GCAA). The first pilot also cited tests conducted on truck drivers in Germany using a simulator that compared people suffering from fatigue with those who were drunk. “It’s actually worse to be very tired than to be drunk. You will make more mistakes and your reaction time goes down. It’s a well-known common fact; there’s a lot of scientific research in this area but it’s not being applied in reality,” he stressed. Speaking to RT, a former Emirates pilot also claimed that a lack of proper monitoring by the aviation authority of Dubai exacerbates the fatigue problem. “The aviation authority in the UAE is called General Civil Aviation Authority (GCAA) and it cannot under the government of Dubai [ensure] independent [monitoring] of these airlines,” he said. Pilots have no higher authority to complain to and any reports that do get out are usually quickly “covered up,” according to the former pilot, who stressed that such misconduct would be impossible with European or US airlines, where independent aviation watchdogs monitor procedures. The pilot currently employed by Emirates explained that the aviation authority is controlled by the same people who are in charge of the airline. Specifically, he pointed out that the GCAA is chaired by the same person who is the CEO of Emirates airline & Group – Sheikh Ahmed Bin Saeed Al Maktoum. “We never compromise safety and always operate within the legal regulatory requirements with regard to flying times, operating hours, and layover times in between flights for our pilots,” Emirates PR Manager Rula Tadros wrote in an email. In order to tackle the issue of flight fatigue, Emirates has a special Fatigue Committee, in addition to its existing Fatigue Management System, the company’s spokesperson told RT. “We appreciate all the information which you have provided and we appreciate your professionalism. We would like you to advise contributors not to speculate as to the cause of the accident which we are working on together with colleagues from many different States and entities under the leadership of the IAC which represents the Russian Federation. AAIS assures you that all information that you have provided will be examined carefully to assess its relevance to the investigation and relies on your understanding of the protocols regarding the care of information affecting investigations. 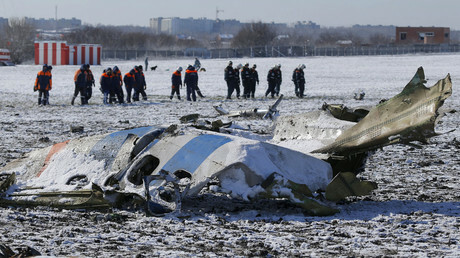 Pilots began speaking out on condition of anonymity following RT’s report citing a whistleblower pilot from Flydubai, who mentioned fatigue as a factor in the March 19 Rostov tragedy. Pilots also expressed fear that the same kind of accident that happened with Flydubai in Rostov could happen with an Emirates flight due to the overextended hours. 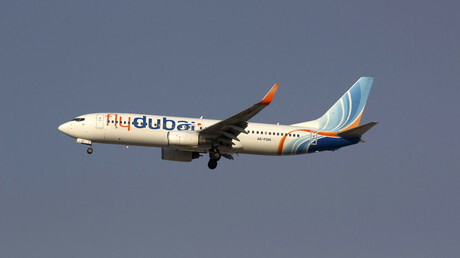 Flydubai flight FZ981 crashed in Rostov-on-Don in southern Russia, killing all 62 people on board. A former pilot of the airline came forward following the tragedy, claiming that the company’s management forced their pilots to work while exhausted. The pilot leaked the flight log of flight FZ981’s co-captain, Alejandro Cruz Alava, which showed that he had worked 11 days with only one off prior to the crash. He pointed out that Alava had been transferred from daytime to nighttime flights without being given enough time to adjust his sleep pattern.